Shelly that is so adorable. Love the penguins. You are so creative. This is darling, Shelly! Love those cute little penguins. I love that you made it into a full calendar. I wondered how much we could alter what was sent so next month I'll have a better idea. Great job. I love this! We're getting hit again. Supposed to get up to 6 inches today. Shelly, your January calendar is just too sweet. Love the images and awesome fold. You did a great job with the theme/kit. YAY! Great use of your calendar. I just love those little penguin figures. Just a great idea on this calendar - for a year! The layout and details are just perfect. CUTE! CUTE! CUTE!...love those penguins! OH my Shelly I love your take on this challenge. I love the layout and all the little details you added. The penguins are awesome. You did a beautiful job with this kit!!! Stupendous!! 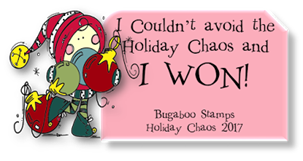 I really love how you will use this all year! Those penguins and snowflakes are adorable. Over the top, Shelly!!! Loving the fun fold! 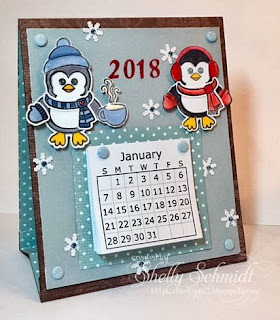 Cute way to use calendars! 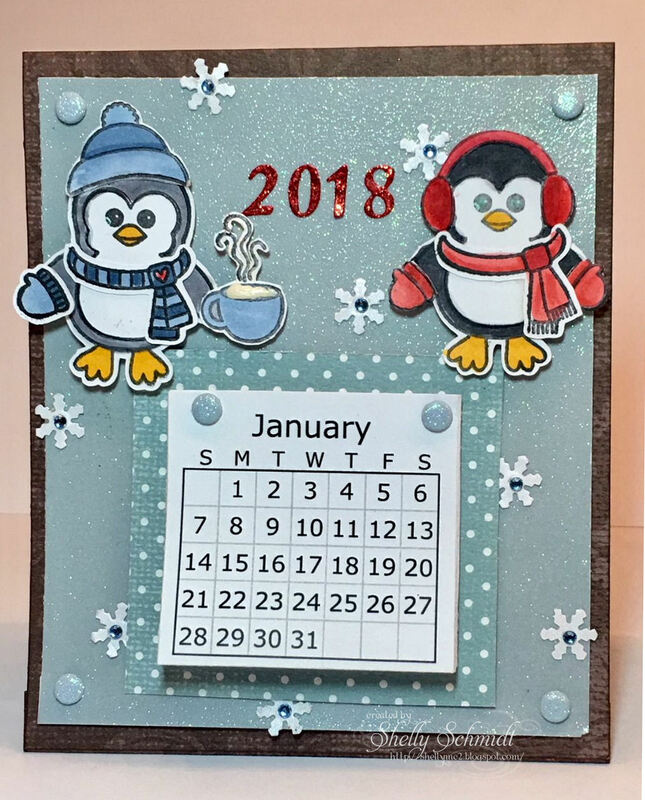 What a cute, cute, cute calendar. Good idea to print out the entire year. 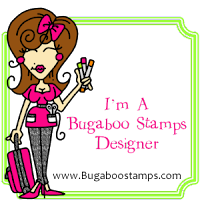 Won't it be nice to glance at it on your stamping table? How cute--I love that you made an entire calendar. Love the penguins--too sweet! These bundled up penguins sure look adorable with your January calendar!! 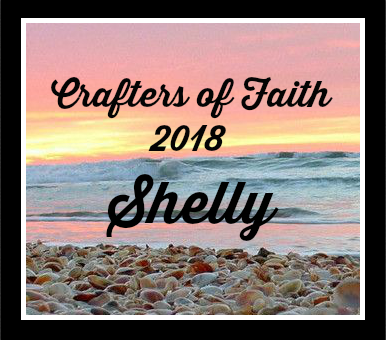 Precious, Shelly! 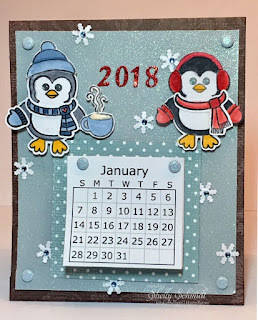 Fabulous calendar.. and so cute!